Fox News just came out with the 20 Best Kept Secrets in Washington, DC. And just who do you think came in the Number 1 spot? 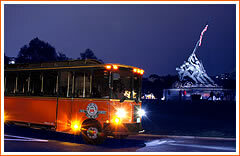 Yep, you guessed it, Old Town Trolley Tours of Washington’s Monuments by Moonlight Tour. 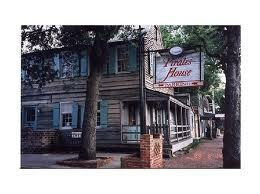 Want a taste of 1700s Savannah? Come and enjoy a time when visiting sailors came off the seas to quench their thirst and hunger! Share the stories of their adventures and enjoy the restaurant featuring authentic Georgia cuisine! View the wooden ships, iron pirates, and even framed pages from an early version of the book “Treasure Island!” Come take advantage of the Southern food and the high seas atmosphere! Posted in Savannah | Comments Off on The Pirate’s House! 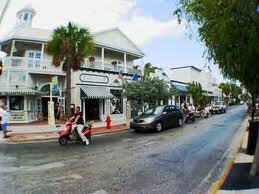 If you’ve heard of Key West, you’ve heard of the famous [or infamous] Duval Street! If you’re visiting, it’s a must when it comes to Key West life, shopping, and dining. Duval features premiere shopping destinations like Coach, Banana Republic, and Express. It also hosts the Official Conch Republic Store, Fast Buck Freddie’s, Margaritaville, the Hard Rock Café, Kelly’s Caribbean Grill, San Carlos, and more! Posted in Key West | Comments Off on Hit Duval Yet? Want to visit Kenmore Square in Boston? Located at 4 Yawkey Way, it has served as the home ballpark of the Boston Red Sox baseball since it was opened in 1912. It’s the oldest Major League Baseball Stadium currently in use! Go and visit one of America’s best-known sports venues! Even better, the trolley takes you right to Fenway! Dupont Circle is a cosmopolitan neighborhood containing some of Washington’s finest museums, historic homes, ethnic restaurants, bookstores, private art galleries, and foreign embassies. It’s in the heart of Washington’s nightlife, filled with high-rise apartments, rowhouses, and beautiful parks! Go visit! There’s so much to do! Let the trolley take you there. 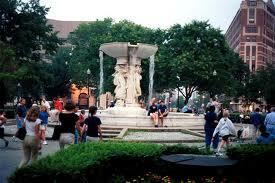 Our stop #15 is located in the heart of Dupont Circle. You are currently browsing the Old Town Trolley Tours Blog blog archives for October, 2012.